I’ve never made a Christmas cake before. That I’ve eaten homemade Christmas cake every year for thirty-odd years and never made my own is testament both to the extraordinary baking skills of my Mother and to my habitual only-child laziness. But this year, I’ve had a crack. I even made the marzipan. And I must say, I’m rather darn smug about the results. I’m in safe hands though, using, as I do, the Mary Berry recipe here. 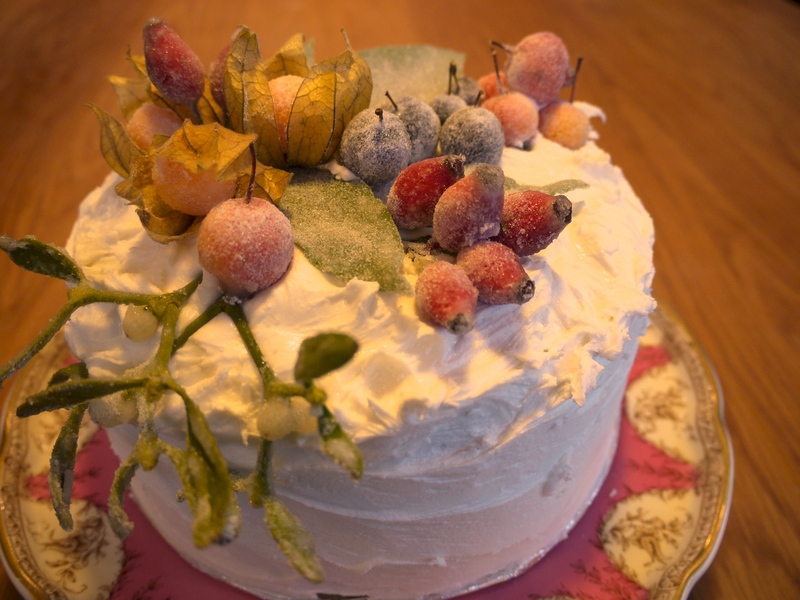 And for the decorations, the poor spaniel has a disrupted walk as I forage crab apples, sloes, damsons (never known them so late), rosehips and physalis from the hedgerows which are quickly made to look frosty with a coating of egg white and caster sugar.